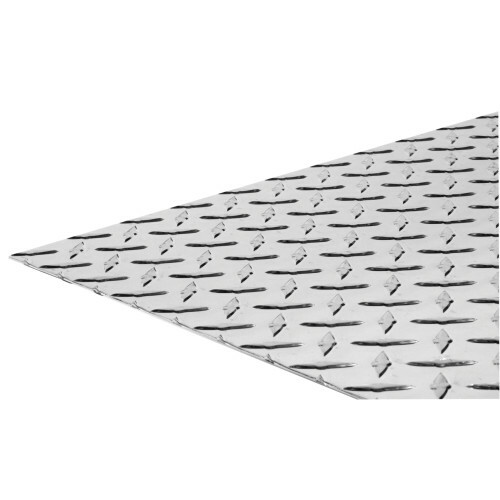 The SteelWorks Aluminum Tread Plates are ideal for vehicle interior applications and structures. Aluminum is lightweight and has a high degree of corrosion. Available in different sizes. Choose between a variety of attractive finishes. 0.1" x 24" x 24" 0.1" x 24" x 48" 0.063" x 12" x 24" 0.063" x 24" x 24" 24" x 24"